The traditional ‘quintas’ of Barrios Altos in Lima are housing typologies whose spatial organization is based around courtyards and alleys that function as extensions of public space within a private property. 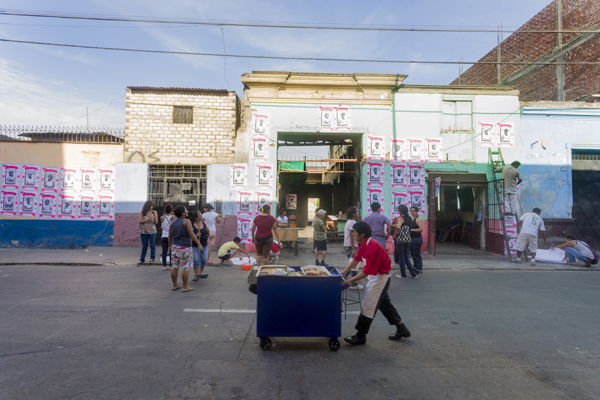 A collaborative project by Fiona de Bell, Teresa Borasino and Sandra Nakamura that aimed to highlight the potential for self-organization of the ‘quintas’ of Barrios Altos. 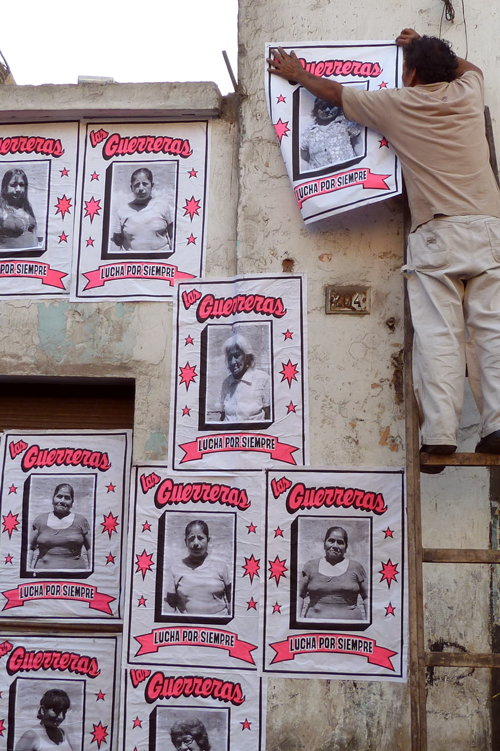 The artists worked with “Las Guerreras” (The Warriors), a group of 18 women who at the time of the intervention had received numerous threats of eviction by a real estate corporation. The intervention consisted of a choreography of actions that took over the street: two long grills, each six meters long, were used to block road traffic, closing the street like barricades in intervals of twenty minutes. 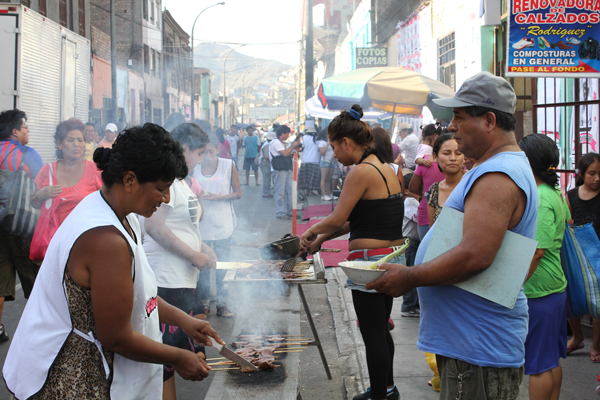 On them, “Las Guerreras” grilled skewers that were offered to the public. While the street remained closed, a group of people slowly carried objects from the inside of the ‘quinta’ and loaded them into a moving truck, along the rhythm of a marching band, as if a religious procession: an eviction rehearsal. 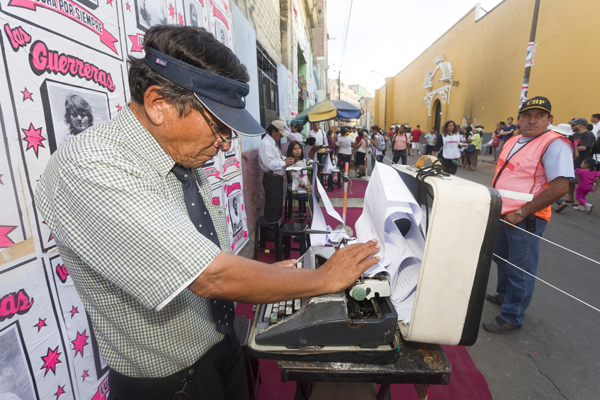 At the same time, three scriptwriters gathered testimonies on their typing machines, recording the memories, fears and perceptions of neighbors and passers-by. 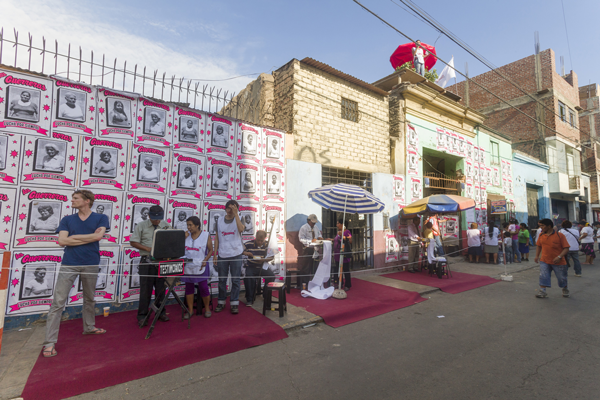 With the support of Mondriaan Foundation and the Dirección de Cultura de la Municipalidad Metropolitana de Lima.